sharing the stories that help you find your path. New Website, New Merchandise—Shop NOW! I’m so excited to announce that My Vision Book Journal has a new home… and some pretty cool roommates! The new website to shop the latest “I Want It All” inspired products is officially LIVE at myvisionbookjournal.com! There, you’ll find beautiful lounge wear and accessories inspired by my book, and Lessons + Wisdom Merch, including signature BCSTARKS gear, and my classic “Within Me Tee” collection with all new colors and styles for the whole family, including the little ones! Now the whole clan can be fashionably conscious! Head on over and check it out, and while you’re at it, enjoy $20 OFF your purchase when you spend $100 or more (book not included in offer). Yes, I AM HAPPY… In fact, I’m probably the happiest that I’ve ever been in my entire life despite what circumstances may appear to be. I’m happy because I now know the truth about life. Happiness to me doesn’t mean that I won’t sometimes think negative thoughts, or feel sad, or cry because things just aren’t going right. 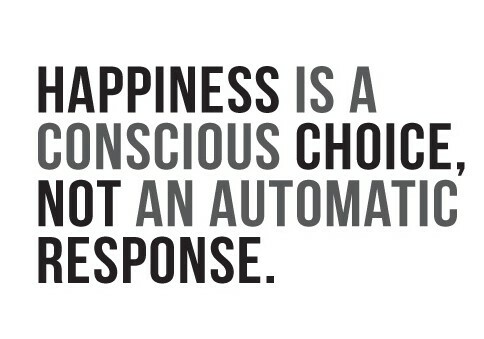 Instead happiness means that in the midst of those things, I have the full power to choose how I will respond to every situation, and how I will allow those things to affect me emotionally. I know for sure that no matter what happens to me, no matter how bad or good it may be, I have the power to control my thoughts about everything and ultimately change my experience from negative to positive. I have full control over how I allow things to affect me based on what I choose to give my attention to. I can choose to make things that displease me the focus of my world, or I can refocus my attention on what I love about my life, and how much I’m growing and improving every single day. Both are choices dealing with my thoughts, but one bears fruit of emotional chaos, while the other bears fruit of peace and serenity. It makes me happiest to know that life is not happening to me, but that I am an active participant in my every interaction and experience. It makes me happiest to know that GOD trusts me with this personal power to get back on right track whenever I am distracted and veer off course. I have choices, WE ALL DO! And even when I don’t make the best ones, I can easily redirect my path by making a better one, moment by moment. So yes, I AM HAPPY! On the anniversary of his death, I came across a YouTube video interview of the late and great poet/hip-hop icon, Tupac Shakur a.k.a. 2Pac, during his time in prison. Growing up with all brothers, I was a fan of hip-hop at an early age. Tupac happened to be my favorite rapper around the time of his death, because at the time, I felt a strong connection to many of his songs, especially growing up in a single parent home. Though there were several things that were published about his life and his intentions with the lyrics in his music, this interview revealed his vulnerability and evolving nature as a human being. I found this interview to be quite intriguing as he spoke about his strong and long-held thoughts of being incarcerated and murdered, much of which he shared with the world through his music and poetry. Tupac was extremely talented, intelligent and conscious minded, and mostly painted pictures of hope through his platform. But even he would not live long enough to shake the dominant negative thoughts that would ultimately become his destiny. I was moved by this interview because I believe that his story is the story of many a people… People who have yet to become aware of their God-given ability to change their lives, by merely changing their minds. Tupac was beginning his transition while in prison, but unfortunately he wouldn’t live past the age of 26 (he was murdered two years after this interview) to tell his story of how things have changed as a result of his shift in consciousness, because as far as death, he believed that it was the only thing that would stop him… and it had become the ‘thing’ that he was mostly anticipated and feared. What I learned from Tupac, among many things, is that life ultimately becomes what you believe. Guard your minds and choose your thoughts wisely, for it is the only true thing that we can control in life. Join Me For A Free Facebook Live Vision Party! Don't leave without Becoming a BCSTARKS Insider!